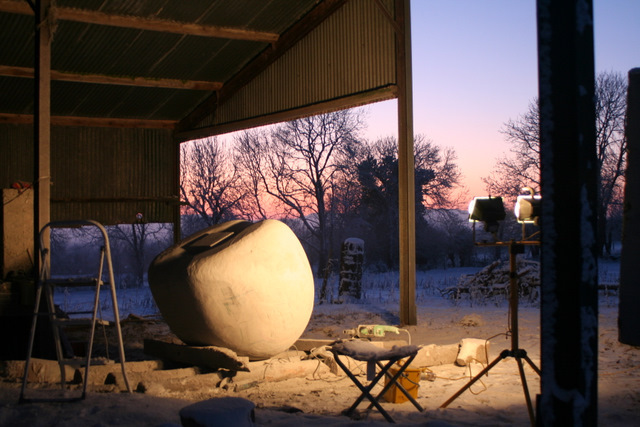 Working late on the snowy 8th January. 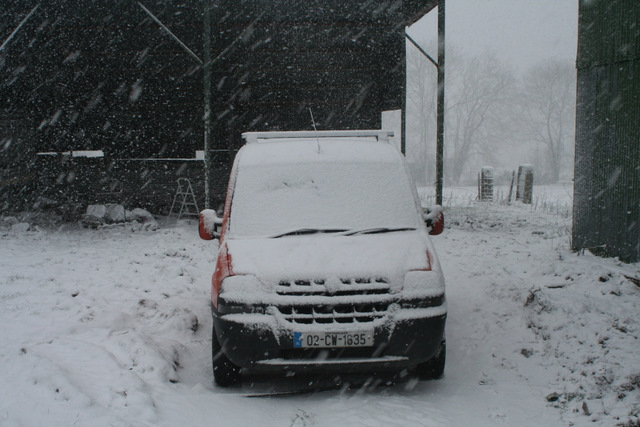 I stayed over, as I had walked to the yard from home and the roads were still very bad. 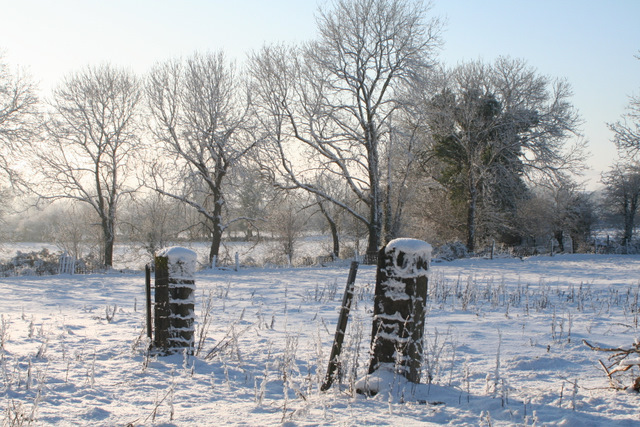 My late working was rewarded for with a great beef and Guinness stew and more Guinness after a short walk across the snow covered fields along the mass path to the pub at Ballymurphy. 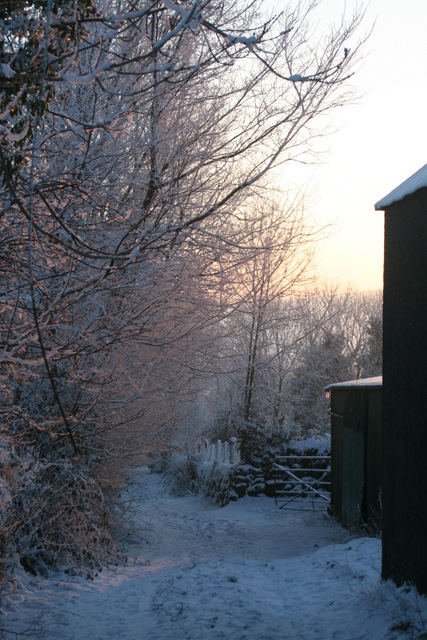 Winter wonderland in the morning. 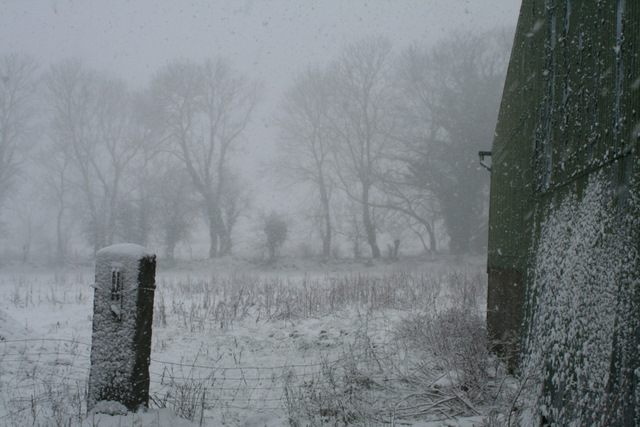 It was very cold again on the morning of Wednesday 6th January and then it started snowing around lunchtime. 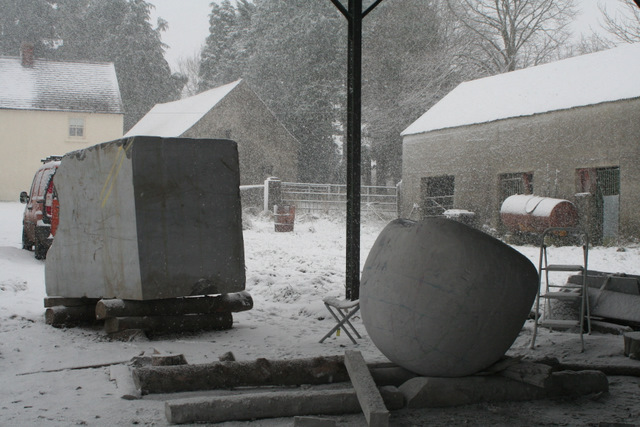 I carried on working not realizing how heavy the snow was. 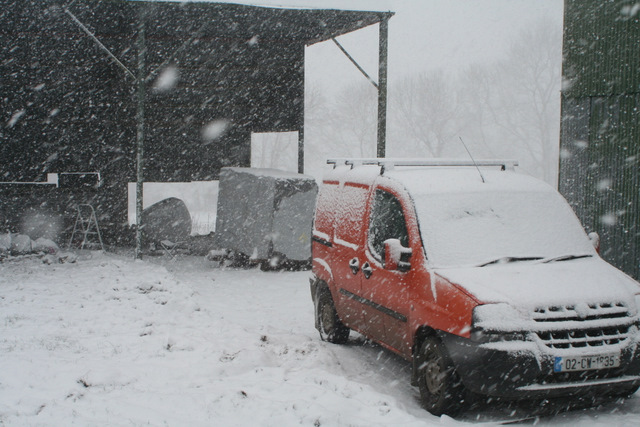 By the time I stopped and packed up, I couldn’t get up the hill and out of the yard Iwas working. 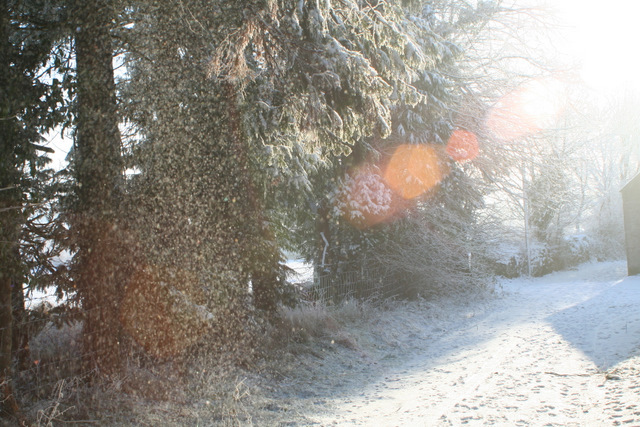 I had to walk home in the end (1.75hours)! 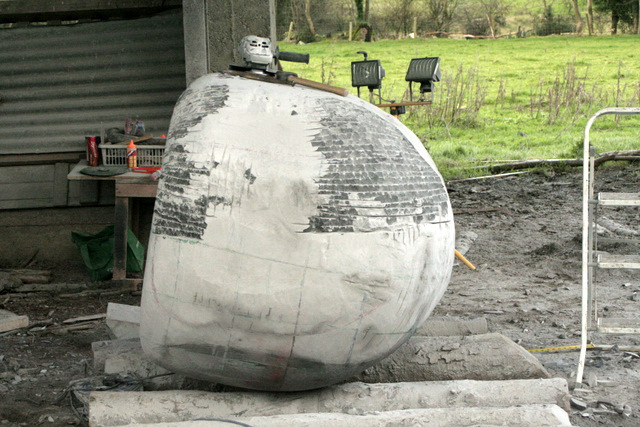 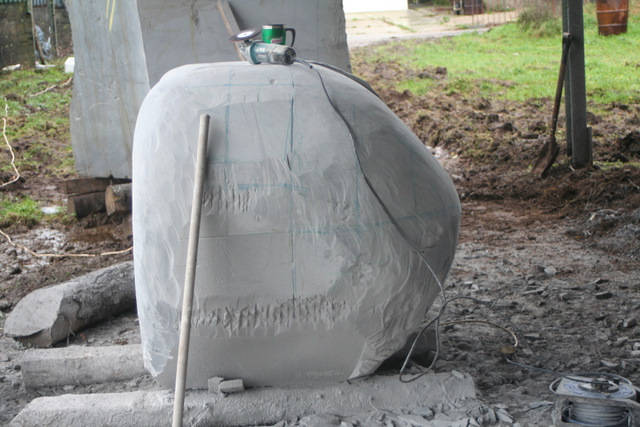 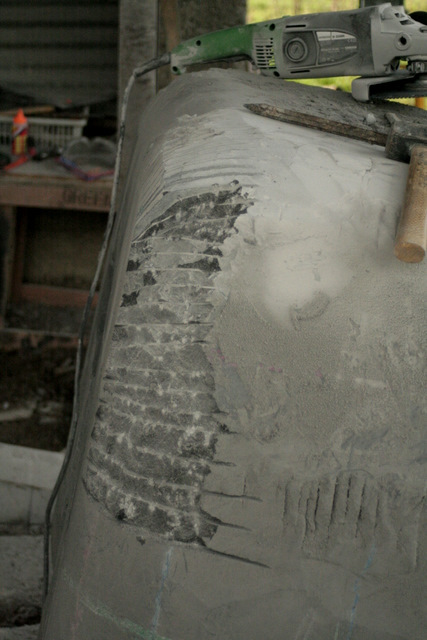 I started back to the sculpture after a good break for Christmas and New Year on the 4th January 2010. 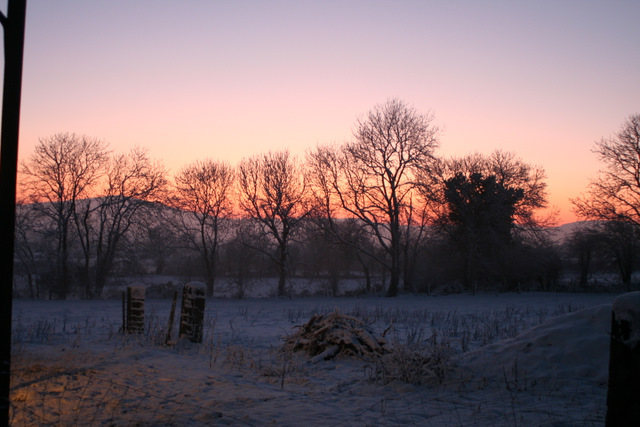 It was very cold!!! 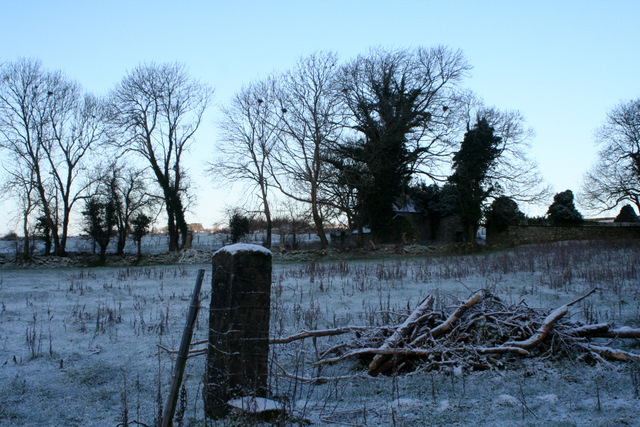 On Tuesday (5th jan) I was greeted with a sprinkling of snow on the ground and -12 degrees C the night before. 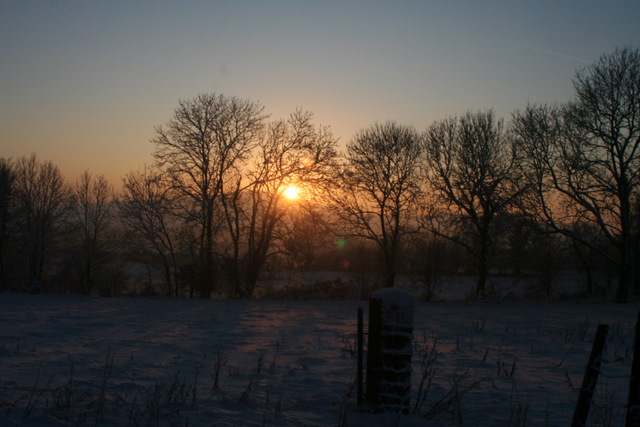 Last day working before the Christmas break. 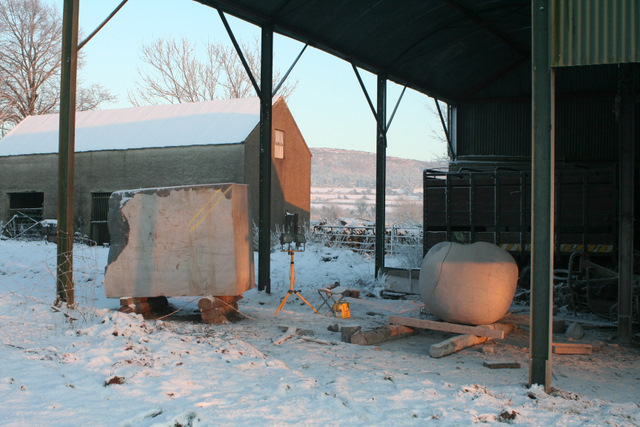 The day before I was lent a brillant jack (a lorry jack) by a friend and we rolled the stone over to work on the other side. 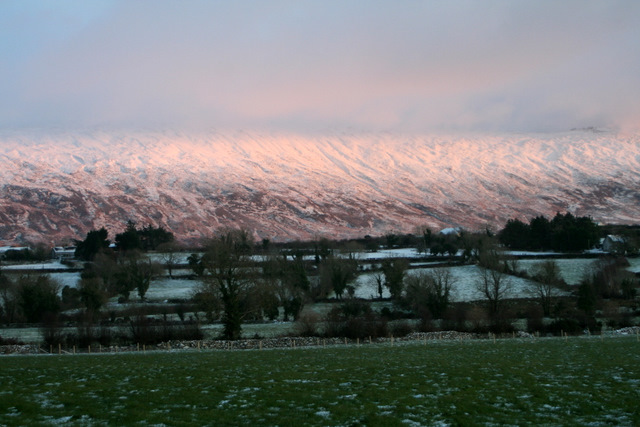 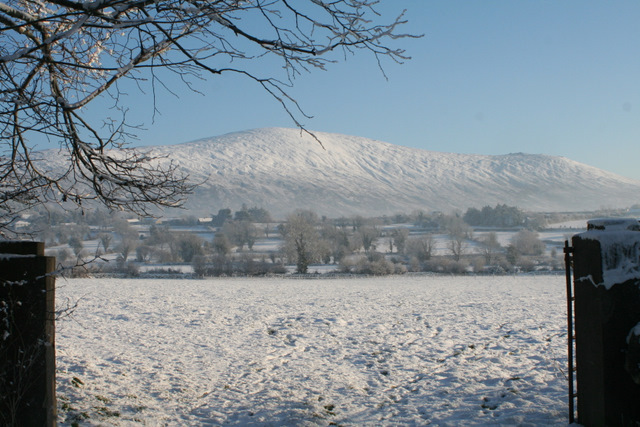 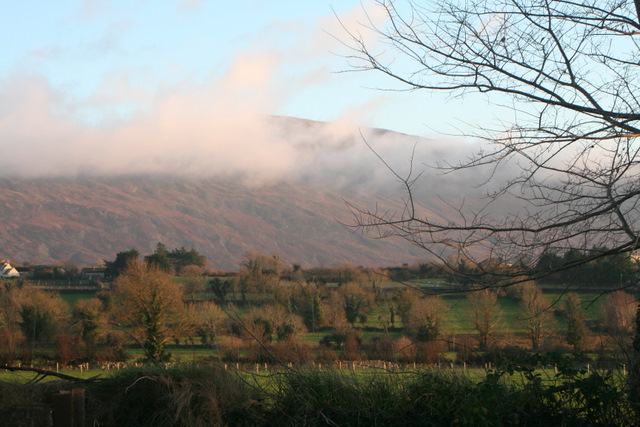 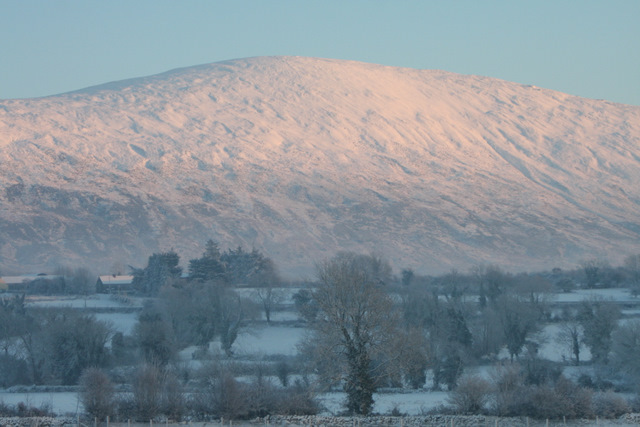 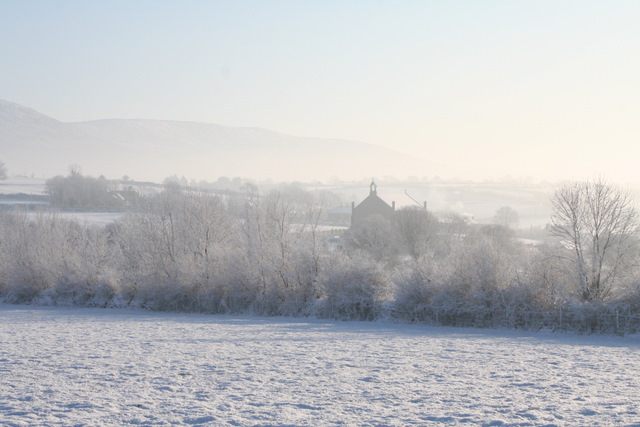 A veiw of the Blackstairs Mountain in the afternoon. 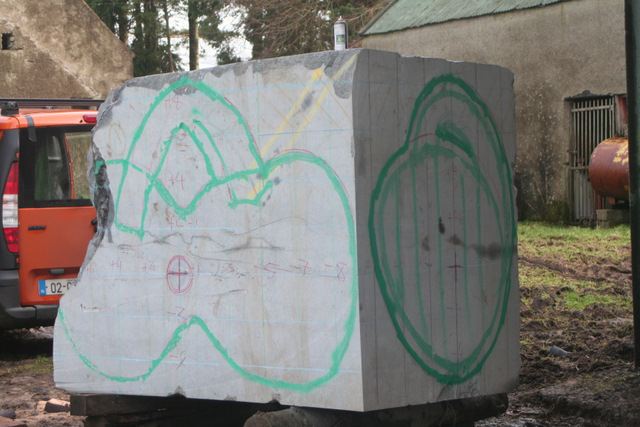 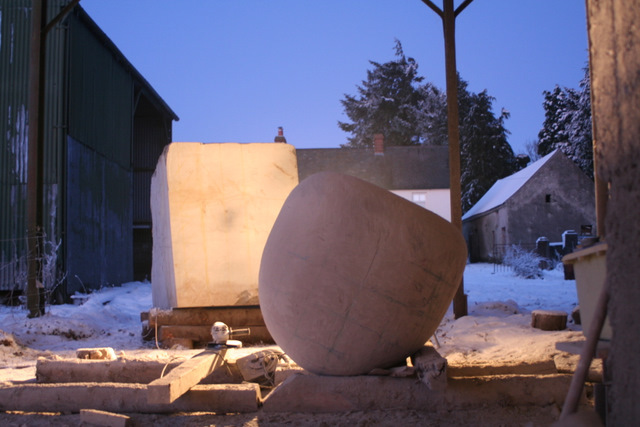 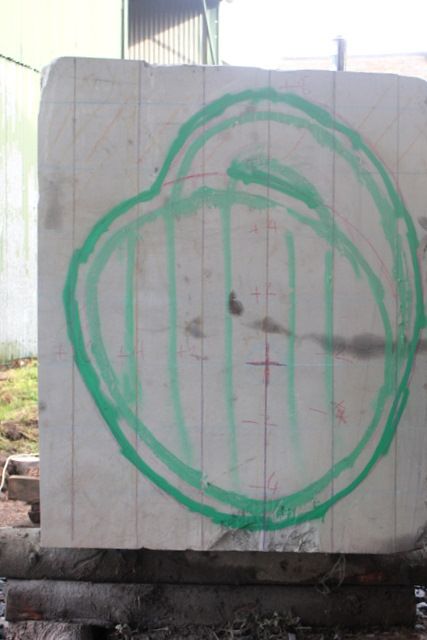 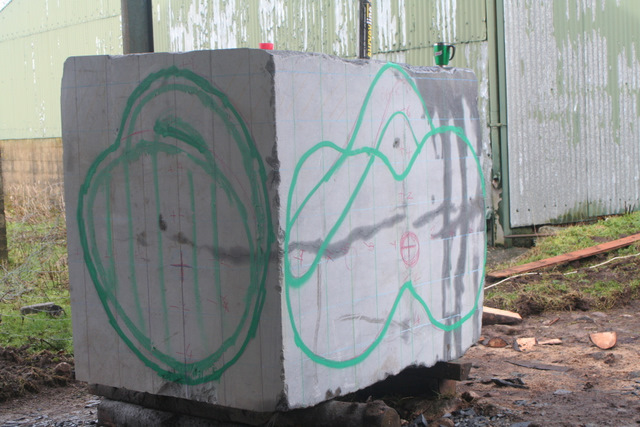 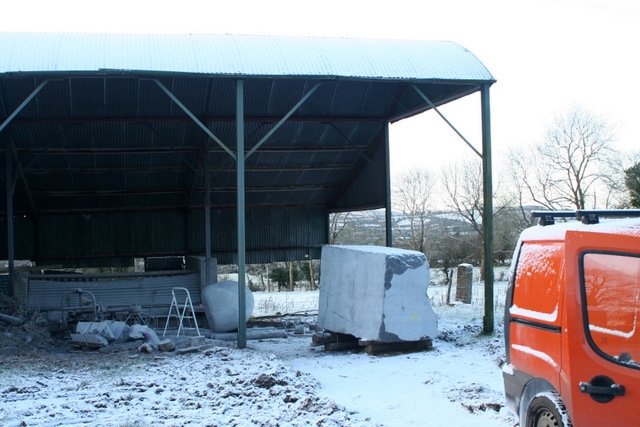 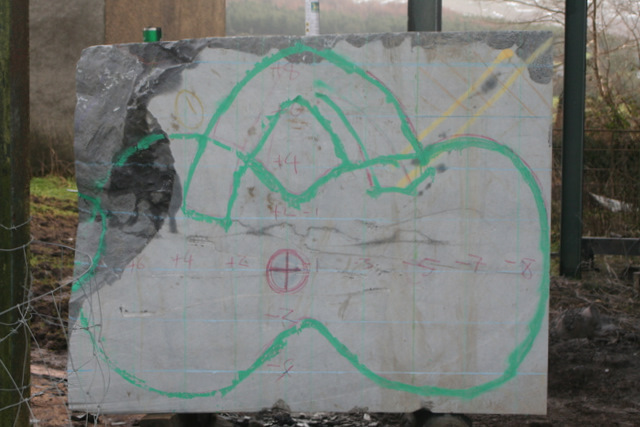 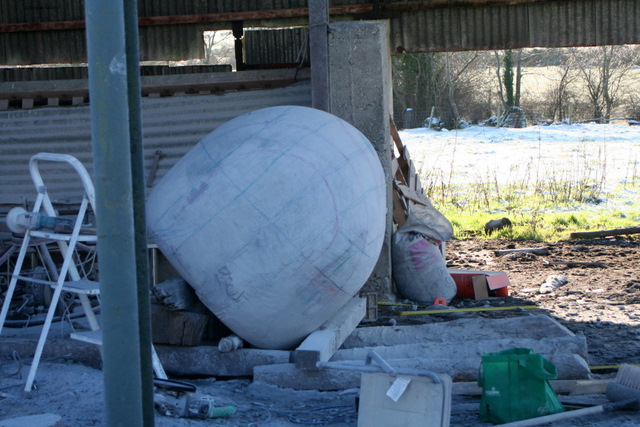 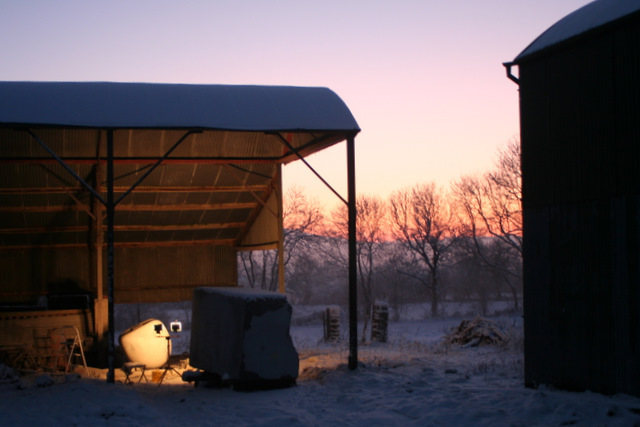 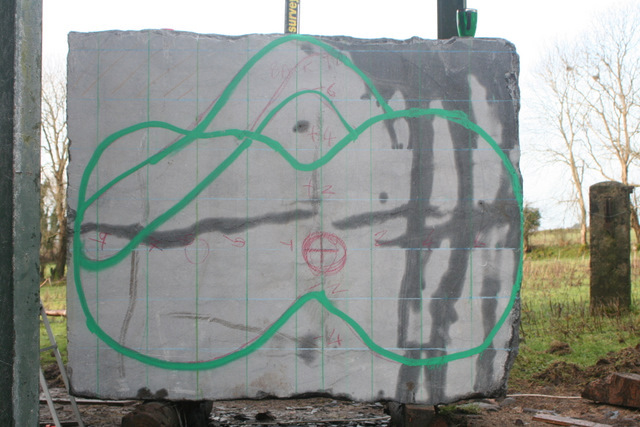 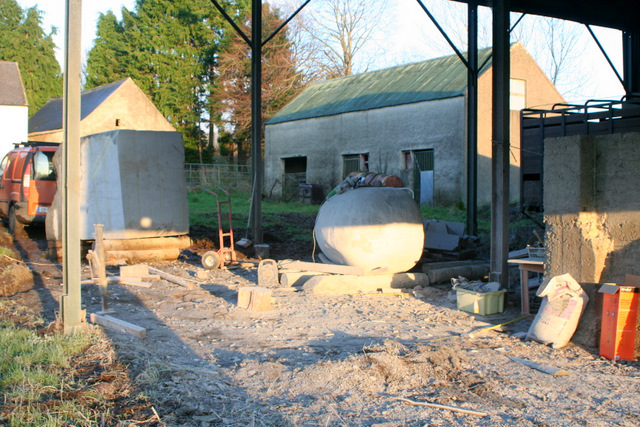 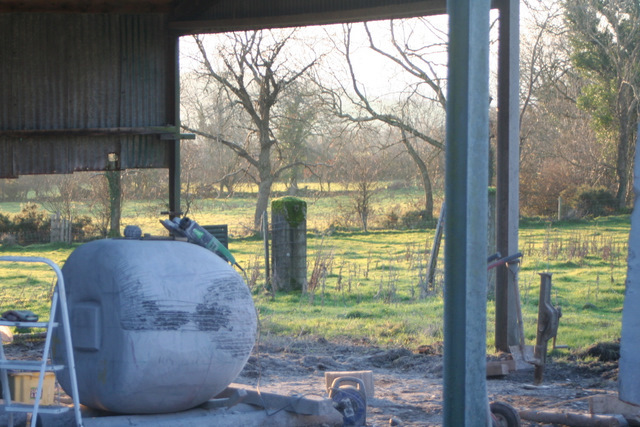 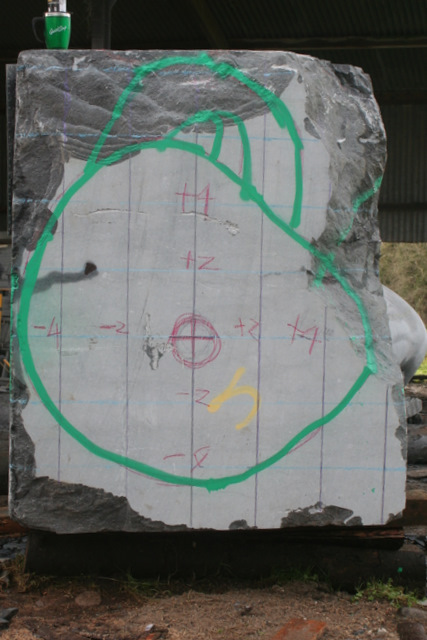 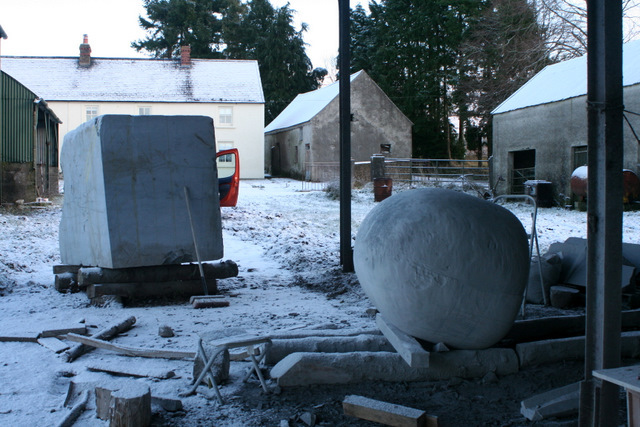 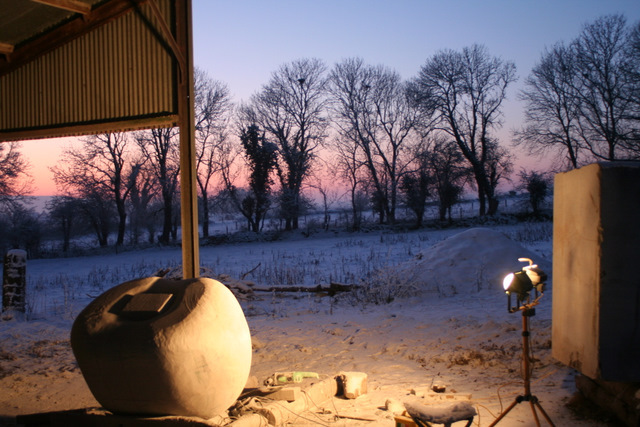 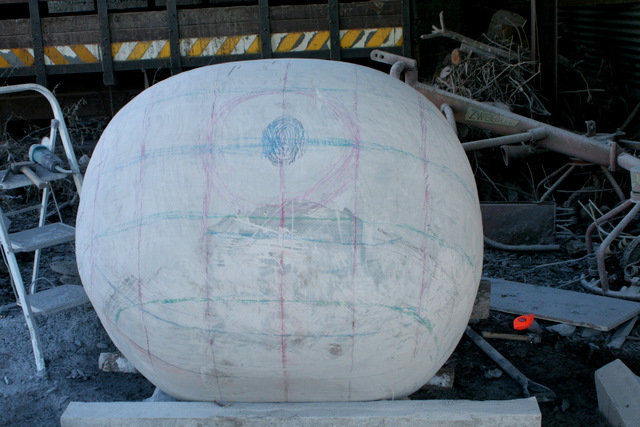 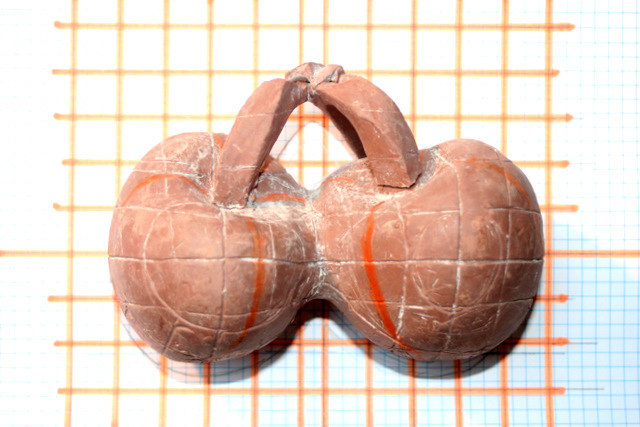 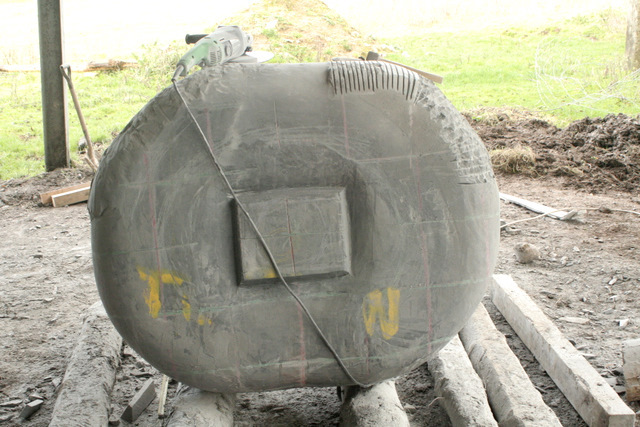 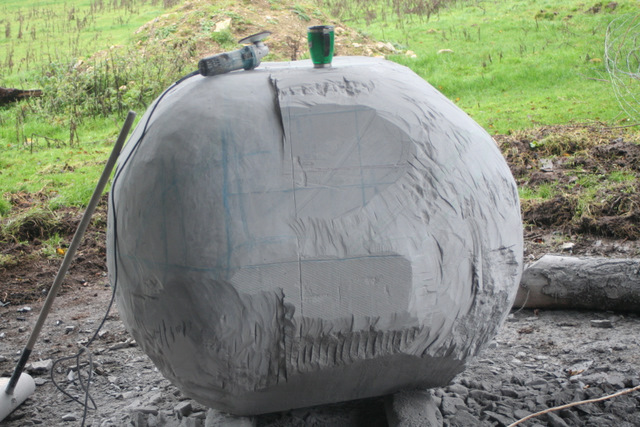 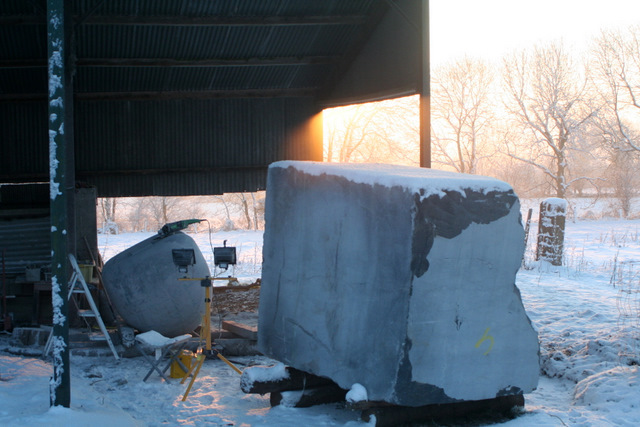 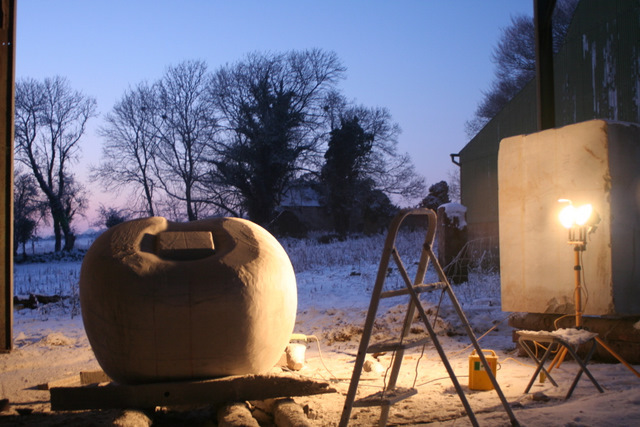 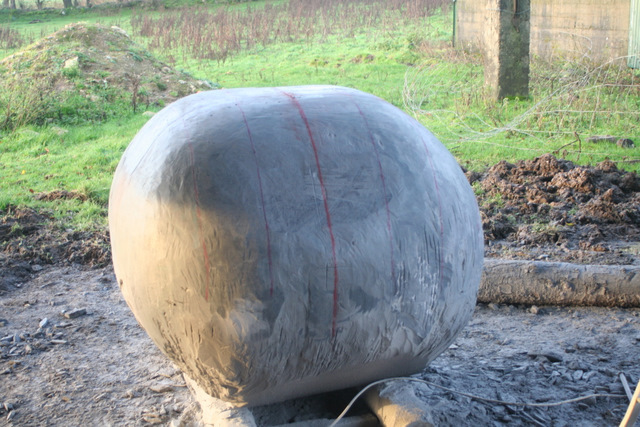 Cherryorchard2 is a blog set up by Martin Lyttle (a stone sculptor) to document the commissioning process for a “per cent for art scheme”. 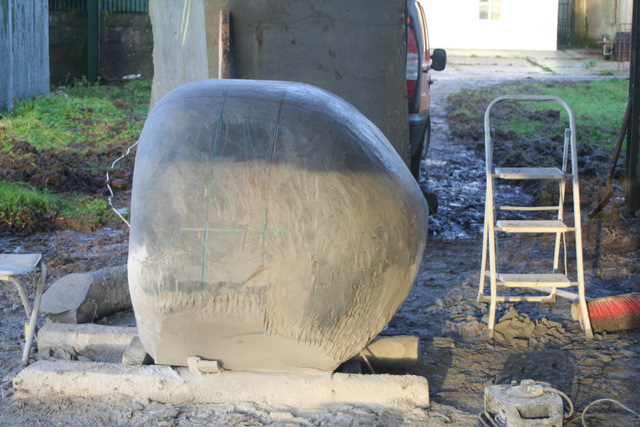 The scheme is Cherryorchard Housing Scheme, Phase II, in Enniscorthy, Co. Wexford. 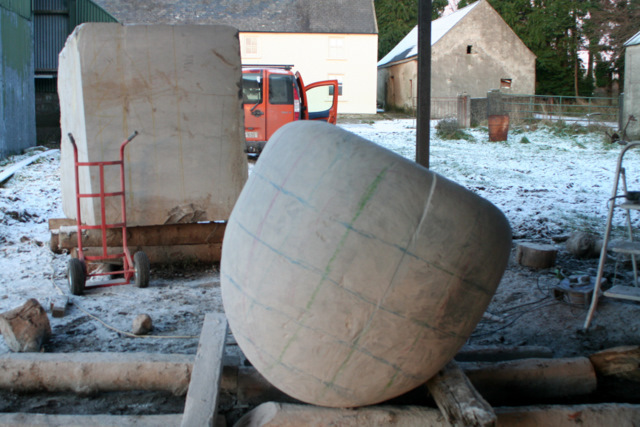 The blog follows the process for submission of the proposal, including developing an idea for a piece of scuplture, basic reseach, fleshing out, making maquettes etc, etc….it will be all there on the posts. 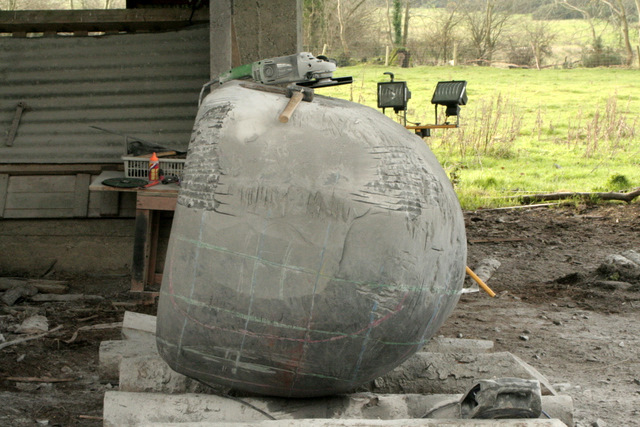 Thanks to Wexford County Council Arts Office and in particular Sinead Redmond for all her help.